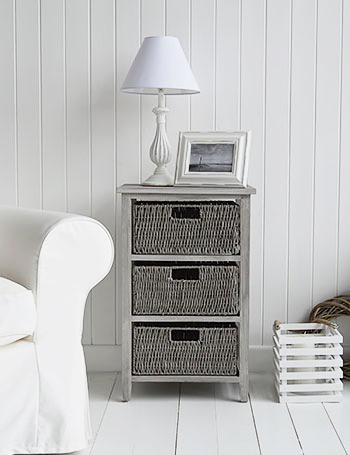 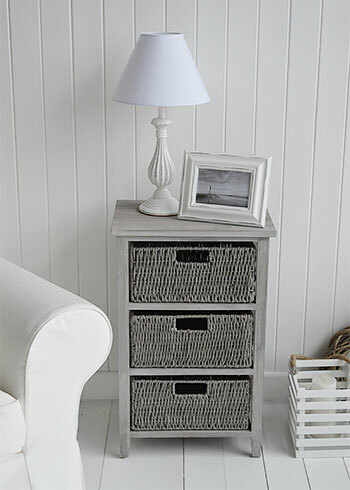 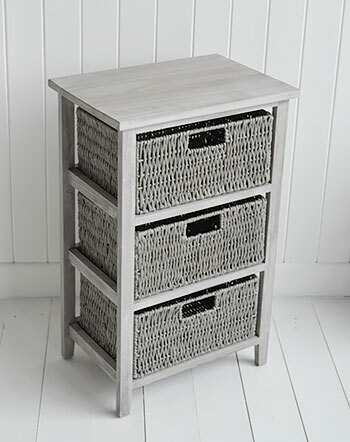 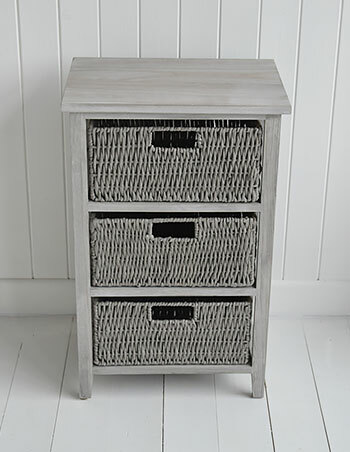 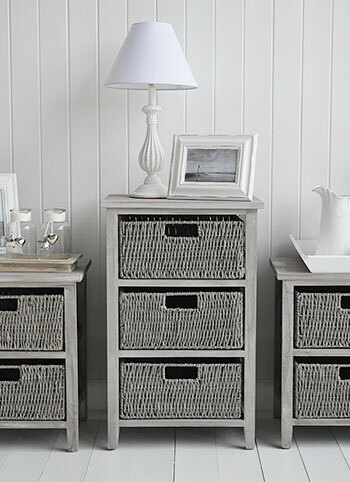 A grey wooden storage unit with three grey basket drawers from the St Ives Range. 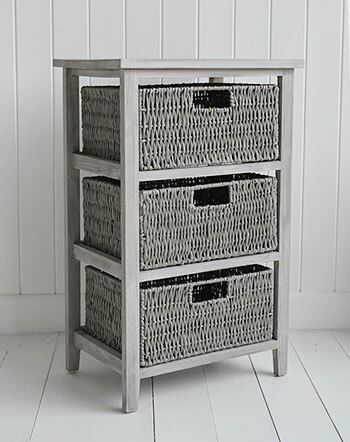 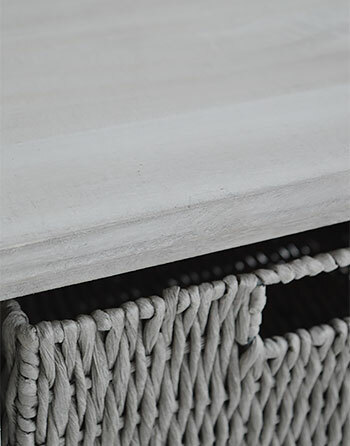 The St Ives range of storage furniture is made from Paulownia wood, finished in an aged washed grey, with woven baskets finished in a matching grey. 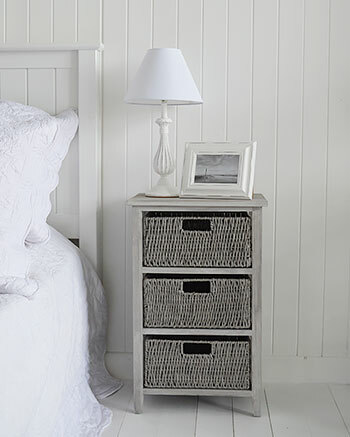 Includes a natural drawer lining, trimmed with red gingham. 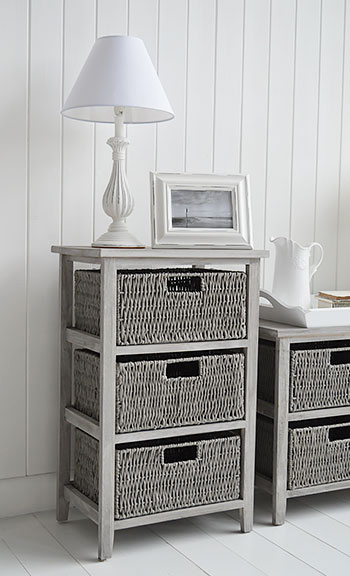 Can be used with or without the drawer linings. 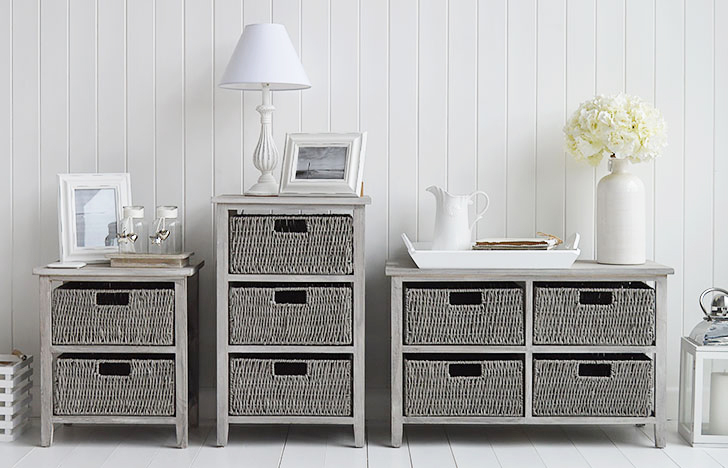 The St Ives range offers practical but charming storage, and is a perfect lamp table or television stand for the living room, extra storage in the bedroom or hallway.